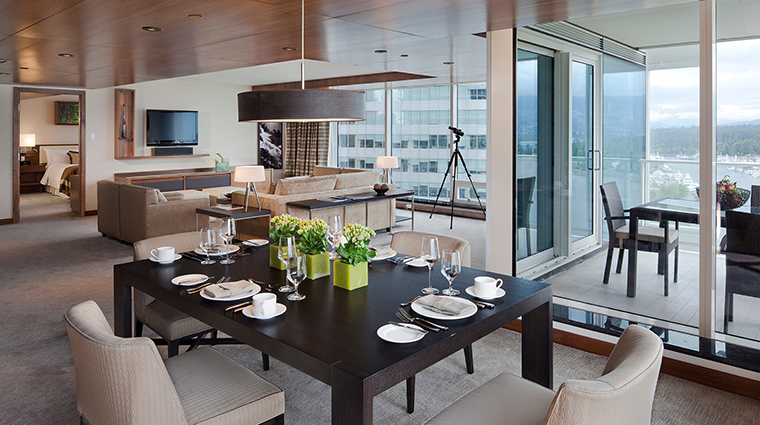 A stellar art collection, sweeping mountain views and a picturesque pool terrace make any stay at Forbes Travel Guide Five-Star Fairmont Pacific Rim a luxurious one. 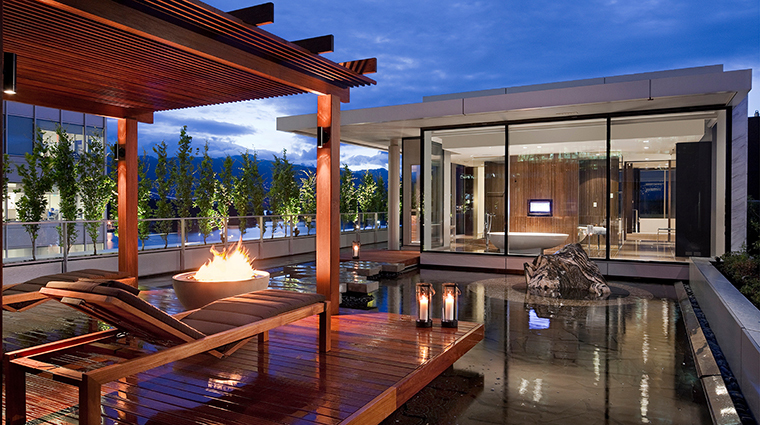 Enjoy an extra sumptuous retreat when you book the Vancouver hotel’s Go For the Gold offer. 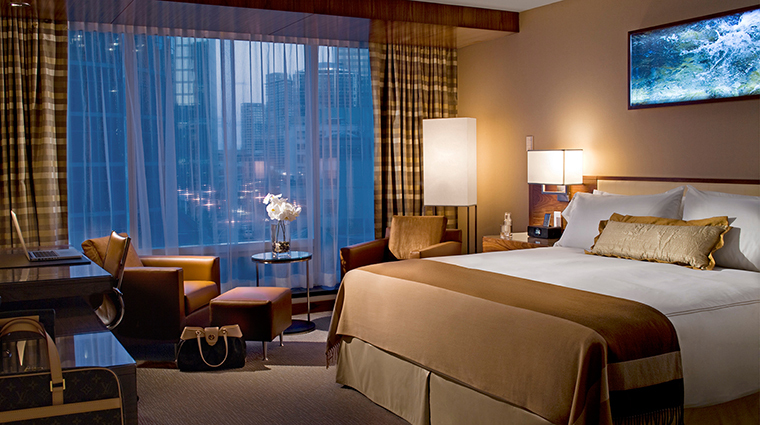 You’ll receive 15 percent off Fairmont Gold accommodations and access to the exclusive 20th-floor Fairmont Gold Lounge with its dedicated concierge, daily breakfast (omelet station included) and an assortment of afternoon snacks, honor bar offerings and late-night desserts. One night nonrefundable deposit required at time of booking. 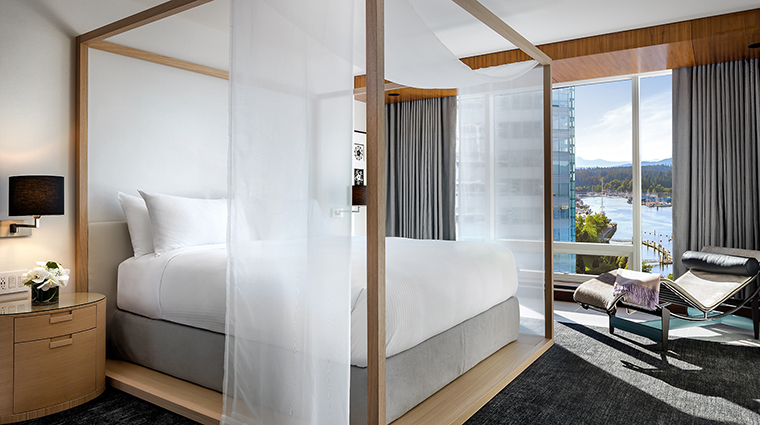 The newest of the Fairmont properties in Vancouver, the Forbes Travel Guide Five-Star Fairmont Pacific Rim opened in 2010, just in time to welcome the world to the Winter Olympic Games. 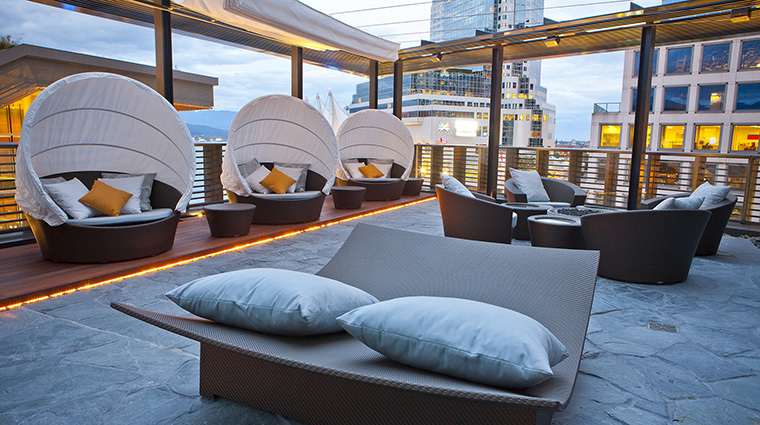 One block from the waterfront downtown, this deluxe tower mixes Asian and west coast elements, and offers an extensive art program, plenty of high-tech amenities and several stylish restaurants and lounges that attract both travelers and locals. 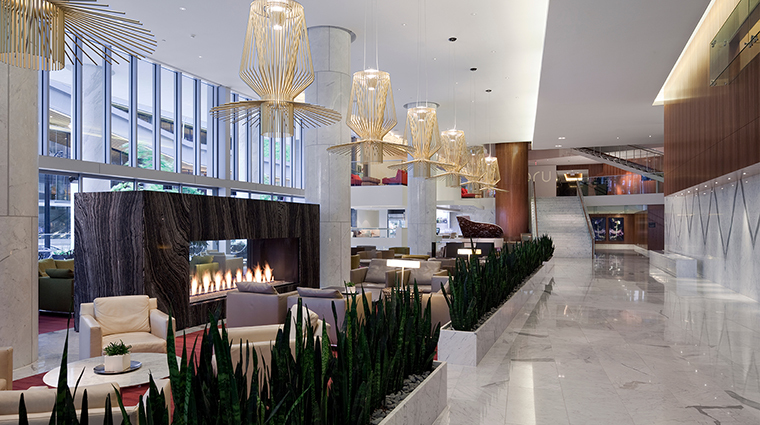 At the hotel’s main entrance, a grove of sparking trees — a Bocci light sculpture with 480 illuminated leaves — lights the way into the lobby where you'll find several vivid street-scene photographs captured by Vancouver artist Fred Herzog. It's a vivid reminder that you're in a vibrant city with an impressive cultural scene. The Fairmont provides bicycles, and in summer, its bike butlers are available to provide cycling maps and other tips. You can also follow a waterside path into Stanley Park, Vancouver’s massive urban rainforest that you can explore on foot or by bike. 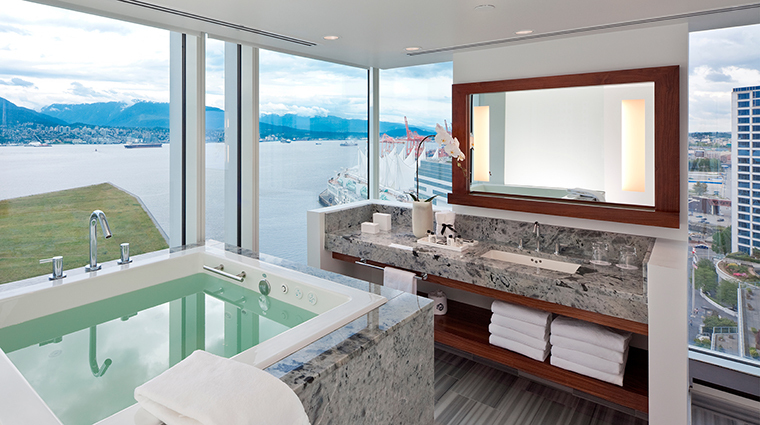 Some of the corner rooms have deep ofuro tubs (Japanese soaker baths) with two walls of windows through which you can watch the seaplanes taking off and landing on the Burrard Inlet or enjoy the greenery on the roof of the adjacent Vancouver Convention Centre. 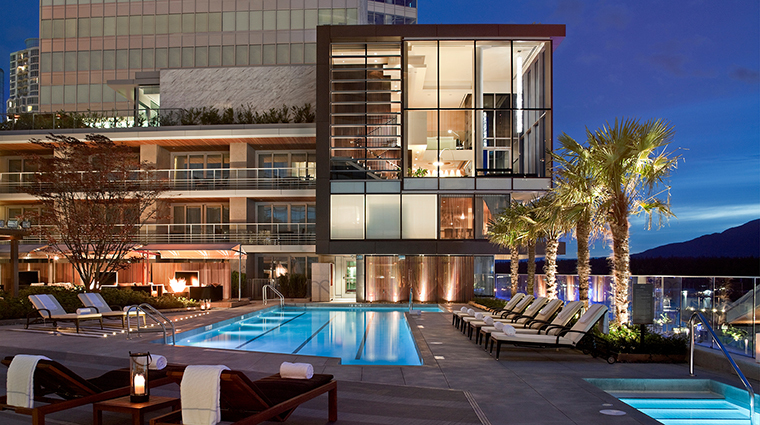 On the sixth-floor terrace, a heated pool and hot tub are open year-round. Lounge in one of five private cabanas (available to rent) by the pool, and from May through October, drinks are served at the poolside cabana bar. 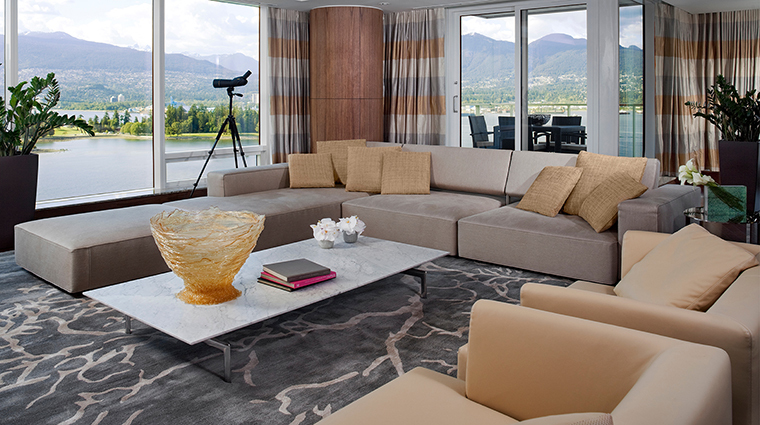 Opt for rooms in the Fairmont Gold category and you’ll have access to a private lounge on the 20th floor with spectacular views of Stanley Park, the water, and the North Shore mountains. A dedicated concierge can assist you as well. 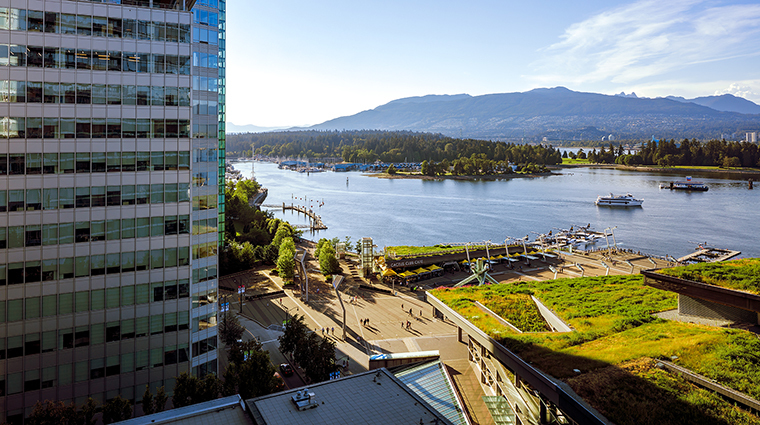 To get around town, the Coal Harbour hotel offers a complimentary car service using comfortable BMW vehicles, including the eco-friendly i3 electric auto. 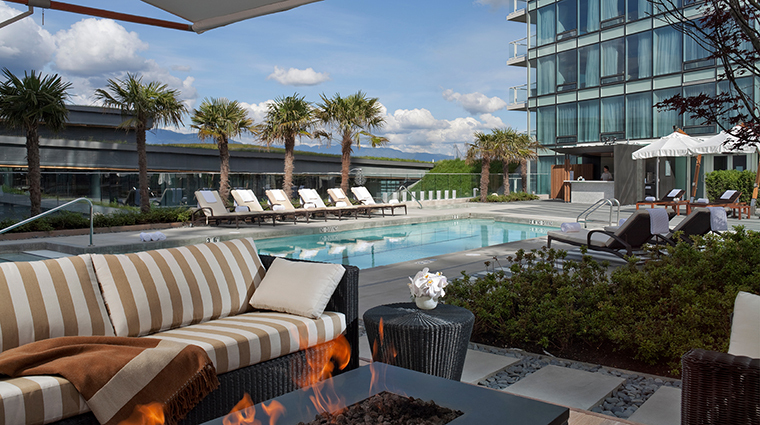 Fairmont Pacific Rim is located in downtown Vancouver, one block from the Vancouver Convention Centre and the Coal Harbour waterfront. It’s an easy walk from the hotel to most downtown business destinations or to the restaurants and bars in the Gastown or West End neighborhoods. For the full art experience, pick up the complimentary art podcast tour from the concierge desk — it’s a 30-minute self-guided exploration of the property’s extensive collection. In this 45-story tower, guest rooms occupy floors six to 22, with private residential condominiums on the upper levels. The large 24-hour fitness room is located on the fifth floor, as is the hotel’s Willow Stream Spa, with nine treatment rooms, several lounges and a vast outdoor terrace with two hot tubs, an infrared sauna, and water views. 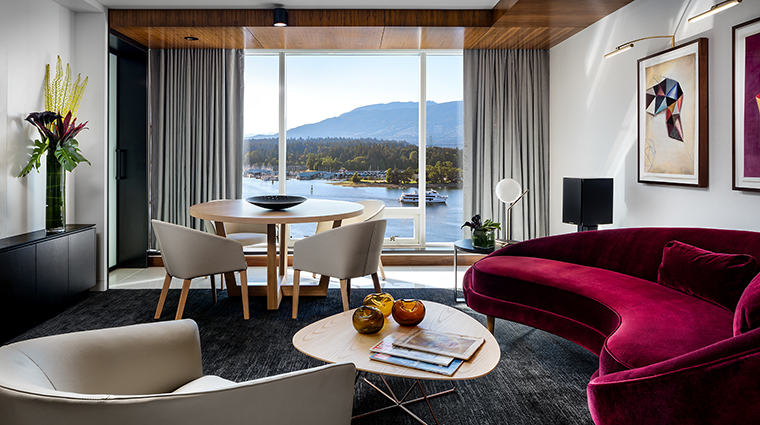 The 367 guest rooms and 47 suites are sleek and modern, with warm American walnut paneling and backlight photos of the rain forests on Vancouver’s North Shore. Linens are white; furnishings and accents are cream and beige. A media panel is built into the desks, with outlets and charging ports, and electronic panels control the room lighting and window shades. iPads are loaded with a virtual concierge that enables you to order from room service, request your car from the valet or access a press reader with more than 3,500 newspapers and magazines. 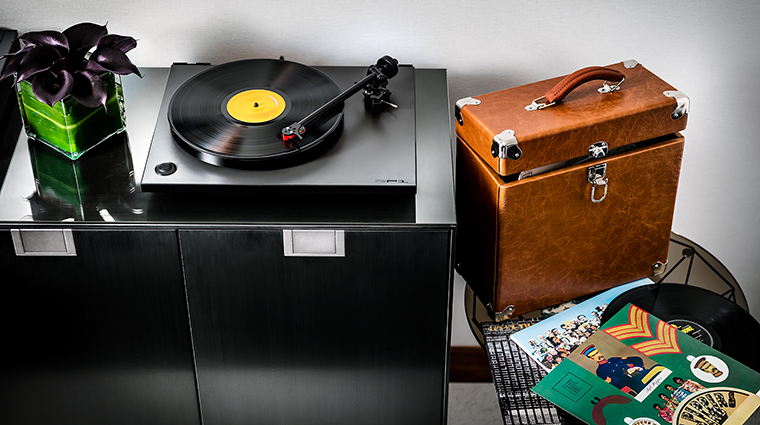 Other room amenities include Nespresso coffeemakers and mini-bars stocked with locally made snacks. Yoyos, kaleidoscopes and other retro toys add a whimsical note. The spa-like baths are outfitted in marble, with Le Labo products. 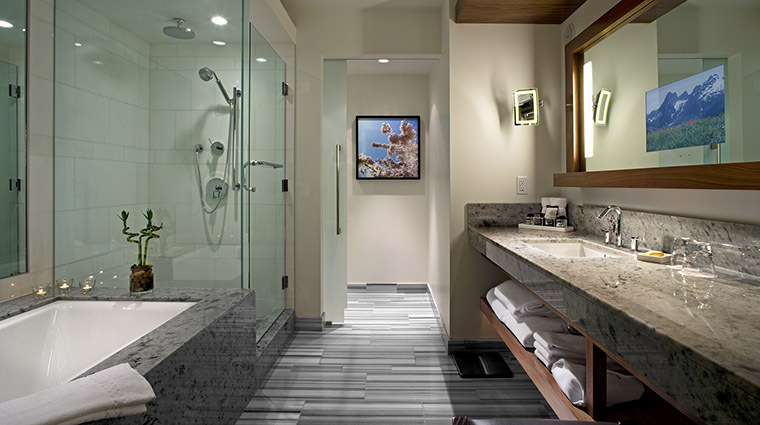 A small flat-screen is built into the mirror, so you can catch up on the news or your favorite show while you get ready for your day. Guests and local business people sip craft cocktails in the airy Lobby Lounge with marble floors and columns, a 20-foot fireplace and an always-busy bar. 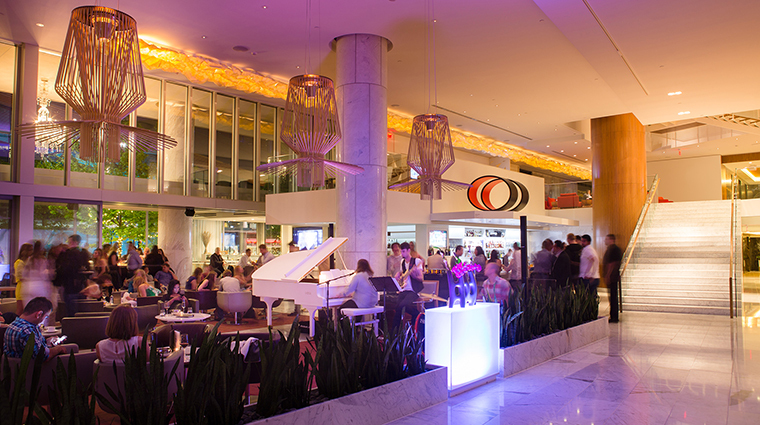 A centerpiece of the see-and-be-seen lounge is the $225,000 white handcrafted Fazioli piano; live music is performed daily. 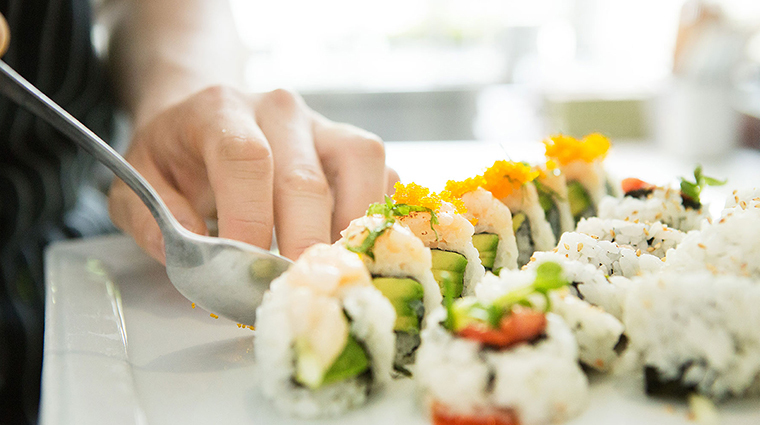 Tucked into a corner of the lobby is the Raw Bar, which is the first 100 percent Ocean Wise sushi bar in Vancouver, serving sustainable seafood from local waters and across the Pacific. A selection of sake accompanies the maki and nigiri. Helmed by executive chef Hector Laguna, Botanist represents the abundant bounty of British Columbia and the Pacific Northwest. 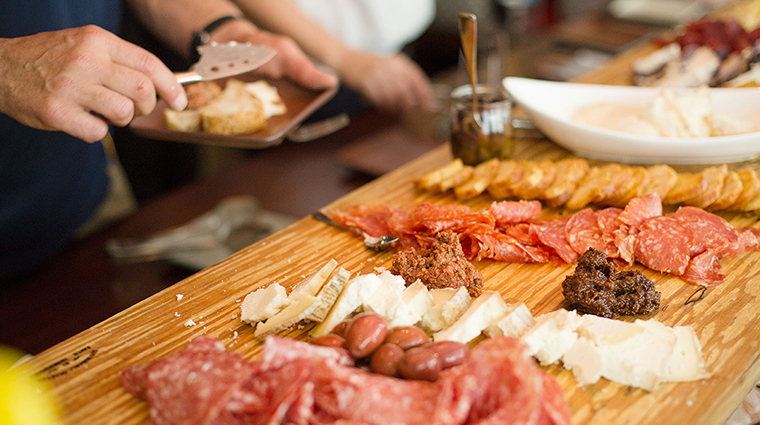 Here, local ingredients are coupled with contemporary techniques — expect regional produce, sustainably seafood and ingredients grown by backyard farmers and suppliers using organic agricultural methods. 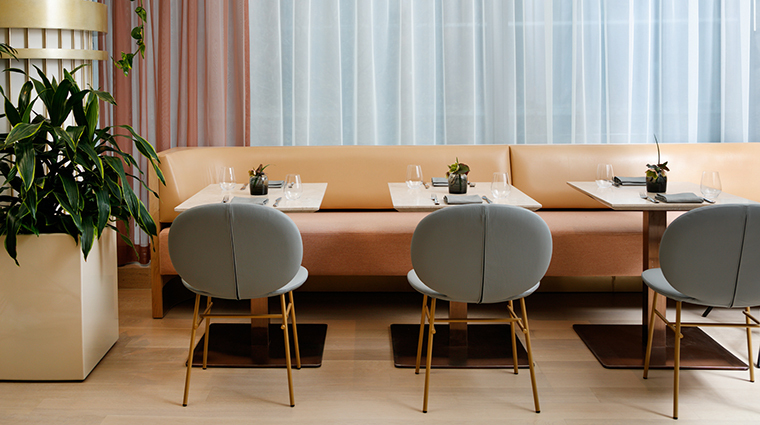 At Botanist, you'll find four distinct areas with their own robust personalities; a bar, garden, dining room and champagne lounge – all inspired by the principals of botany. 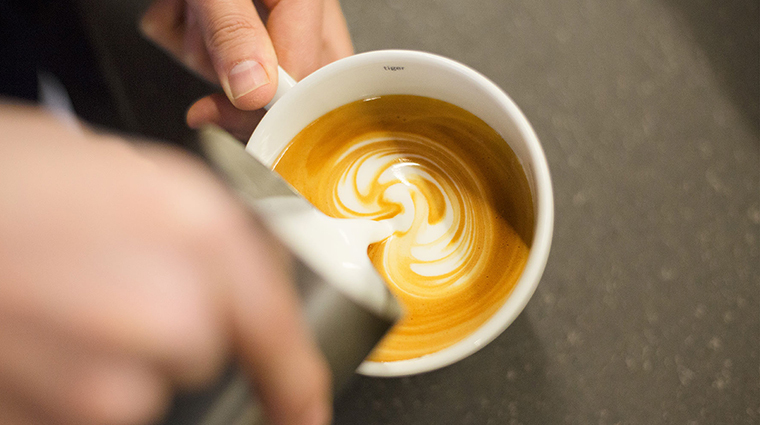 For caffeine and casual fare, giovane café + eatery + market, on the lobby level, fuels guests with Stumptown coffee, including cold brew on draft. 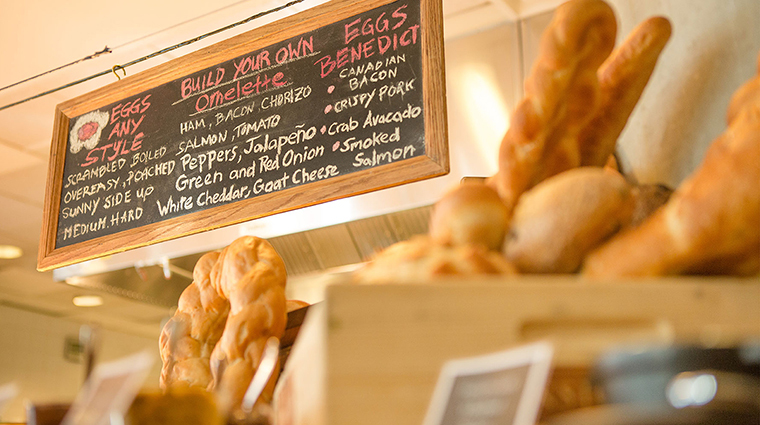 The cafe serves sublime breakfast pastries (sweet bread stuffed with vanilla pastry cream) and lunchtime faves (pizzas, pastas, paninis), plus Italian wines by the glass and by-the-piece treats at the CandyBar.